Dennis Oland's second-degree murder retrial in the 2011 bludgeoning death of his father, multimillionaire Richard Oland, resumes in Saint John Tuesday. If a cell site is out of service or over capacity it can hand calls off to a neighbour. Is it true the neighbour tower might not necessarily be the closest tower? That’s true. Do you know what the neighbour site to the downtown towers were? No - I asked Rogers but was told that was not available. Really - asks Lacy - why I have the neighbour list right here. Lacy says a Rogers solicitor supplied it after being asked by the defence. And isn’t it true the Rothessy tower is listed as a neighbour site for the downtown towers. Yes, acknowledges Sadoun. Is it true text messages can be received by a phone with a weaker signal than a phone call? Yes. Is it true weather can affect signals? Somewhat. And can signals bounce around off obstructions like buildings. Yes, but that will reduce its strength. Propagation maps don’t necessarily reflect the reality of what’s happening every day, correct? asks Lacy. It gives you an idea of what’s happening, says Sadoun. Lacy asks Sadoun about the police test calls from Renforth wharf. 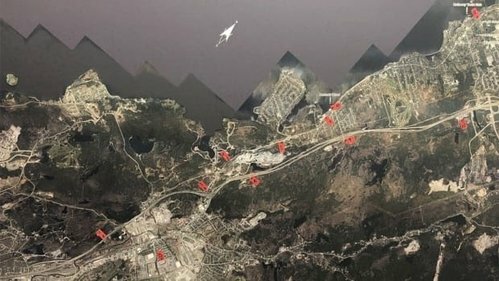 Software predicted they would have been serviced by the Rothesay tower, known as the Fairvale tower, less than 2km away, and yet it was actually the tower on Mount Champlain 20+km away? Yes. Instead they reached well beyond Rothesay upriver and across the Kingston peninsula to towers in Grand Bay-Westfield and up to Mount Champlain. You would have said low probability of that tower servicing the calls, correct? asks Lacy. That’s what I would have said, replies Sadoun. You would have said not even likely? I would have said unlikely. Lacy asks about a cluster of 5 calls from another area where the predicted tower is used 4 times and an unpredicted tower is used once. Isn’t it true that calls going to towers outside the expected area is not unusual. True, acknowledges Sadoun. And yet it did, stresses Lacy. Demonstrates the flaw on relying on the software as being an accurate predictor of what happens in the real world, he contends. Is it true the Rothesay tower is more powerful than most because of the large geographic area it covers? Yes. And it is capable of sending a signal 25 kilometres? In theory yes. You have to accept the possibility that Richard Oland’s phone could have been uptown and gotten a text from the Rothesay tower that night? Unlikely but “slight potential chance” yes says Sadoun. You’d accept because the Rothesay/Fairvale tower is designed to cover a wide rural area it's more powerful? asks Lacy. Fair, says Sadoun. Powerful enough to send a signal at least 25 km? If it's the only one in the network, yes, replies Sadoun. You have to accept it could be that someone was in uptown SJ with the phone receiving a text serviced by the Fairvale tower? asks Lacy. There's a "slight potential chance," replies Sadoun. It could have happened? presses Lacy. Not just a yes or a no answer, insists Sadoun. Wouldn’t it have made more sense for police to test this issue by sending multiple text messsges to a phone at Richard Oland’s office over multiple nights and multiple weeks and months? Yes. Lacy concludes. Crown asks for the rest of the day to study the defence’s cellphone neighbour list obtained from Rogers before dismissing Sadoun. Court adjourns until the morning. Oland defence lawyer Michael Lacy is done questioning cell network expert Joseph Sadoun. Crown prosecutor Derek Weaver requests remainder of the day to check the "veracity" of the cell tower neighbour list submitted by the defence before he begins redirect.